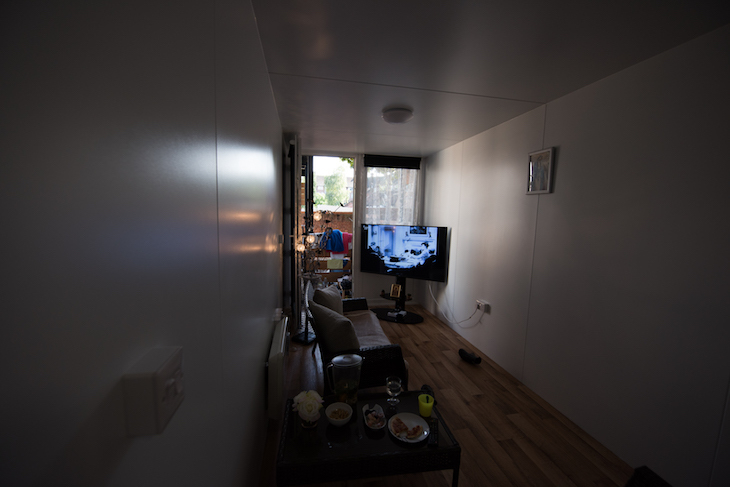 What's It Like Living In A Shipping Container? Kyra Hanson What's It Like Living In A Shipping Container? Sophie is 25, her mauve hair is scraped into a bun. When we introduce ourselves she is standing outside her door with her 10-month-old balanced on her hip. She doesn't hold back when we ask what it's like to live at Marston Court, "I don't really like it — I was living in a hostel before, in a big double room, which was probably better than this, space and storage-wise," she says. Inside, there are just two living spaces for Sophie and her two boys, plus a cupboard-sized bathroom at the back. Family photos hang in shattered frames from where she has used double sided tape to stick them to the pale grey walls of the container. The smiling figures in one are perched precariously on top of a light switch. Above the sink, Sophie's mum has scrawled a message in red permanent marker. 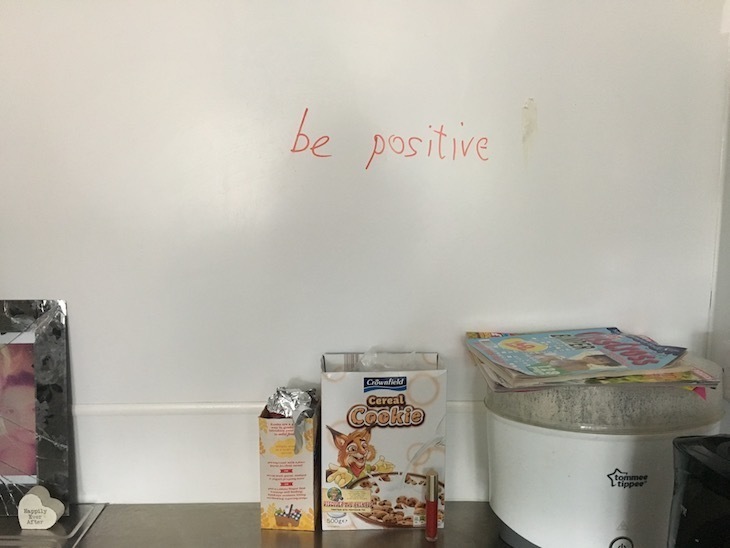 It says 'be positive'. A brown, L-shaped sofa takes up a good chunk of the room we're standing in. 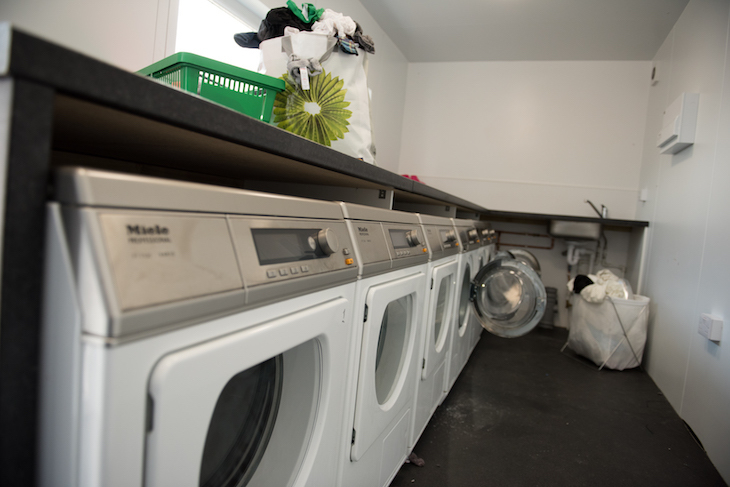 It's one of 34 units built to provide managed emergency accommodation for Ealing's homeless families. A major perk is that rent is cheap —just £15 a week, bills included. 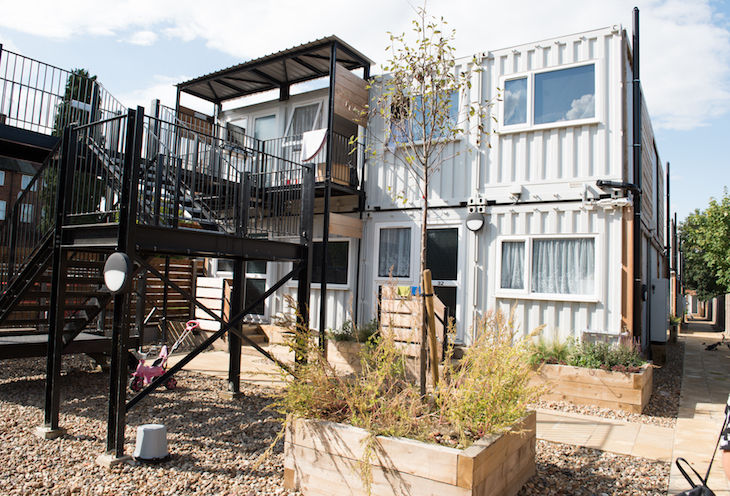 But adapting to life in a repurposed shipping container takes time — especially if you've come from the private sector as opposed to the streets. Sophie's youngest is at that grab-everything-in-sight stage and she wonders why they weren't placed on the ground floor. There are other impracticalities that stop it feeling homely. "I can't get internet here. The guy took one look at it and drove off. There's no shelving, you can't put holes in the walls, you can't decorate the way you want to." She adds. 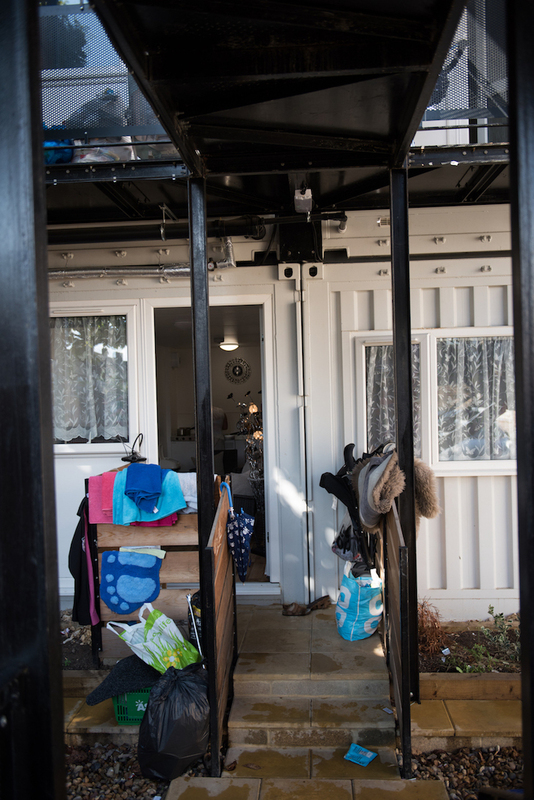 We first came across container homes via a social initiative called Help Bristol's Homeless. In that city, the future tenants are actively involved in the build and look of their new home, not only giving them ownership and skills but a structure to their day. In contrast, Sophie says, without internet, she's got through a lot of DVDs. It's also hot. The containers are well insulated against the cold but the only ventilation comes from the windows at the front of the building — hence why front doors have been thrown open. On a rare cloudless summer day, this steel box starts to feel like a sauna. 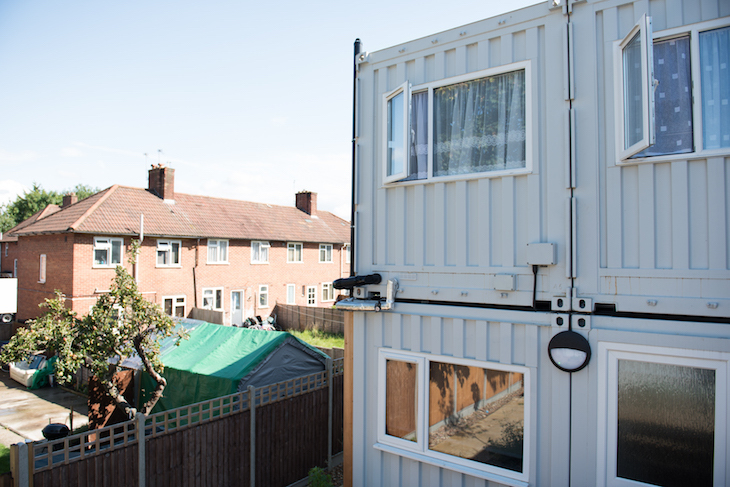 With homelessness expected to double by 2041 and London living costs up 24% (an eye-watering eight times the average wage increase) QED Sustainable Urban Developments say its reusable containers are a fast, cheap, environmentally friendly solution to London's significant social housing shortage. See the development come to life in QED's video below. Outside, efforts have been made to soften the industrial feel. 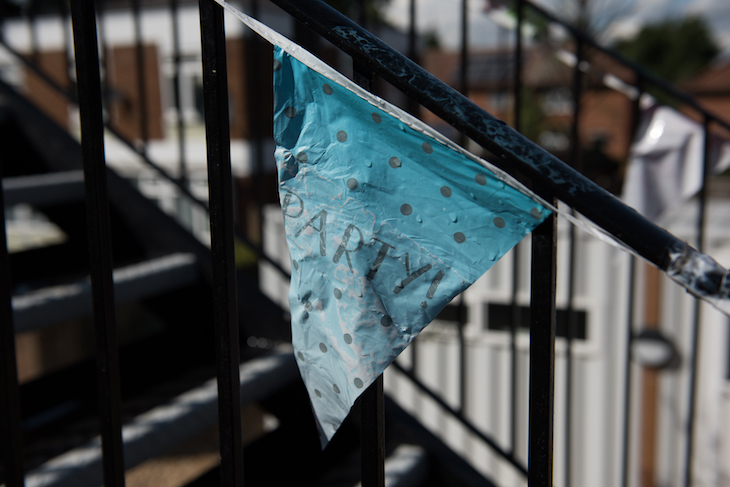 Bunting from a birthday party has been left draped around a stairwell, while net curtains give the impression these are homes and not storage units. The whole thing wouldn't look out of place on a university campus, with compact interiors that are — if we're honest — a lot nicer than some private accommodation you'll have the misfortune to encounter in London. Part of the disdain we encounter towards these new homes is to do with miscommunication about what was on offer. Sophie says Ealing Council sold it to her as a one bedroom flat. "At first I was like, brilliant, that's my move on, then when I got here I was like oh, it's not really how they made it out to be." 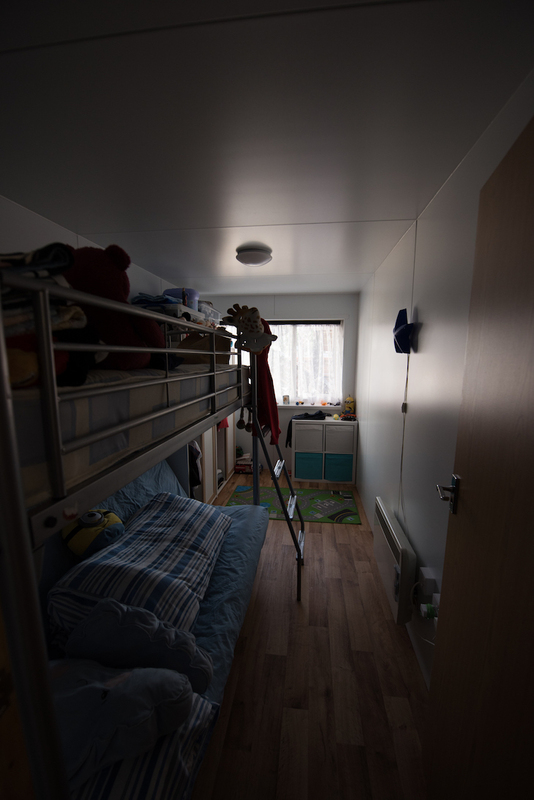 On the ground floor, we meet 26-year-old Lania, who was also disappointed to find she wasn't moving into a two-bed apartment, but one of eight two-bed steel containers. While we sip fruit-infused water Lonia explains how she and her two young boys ended up here. 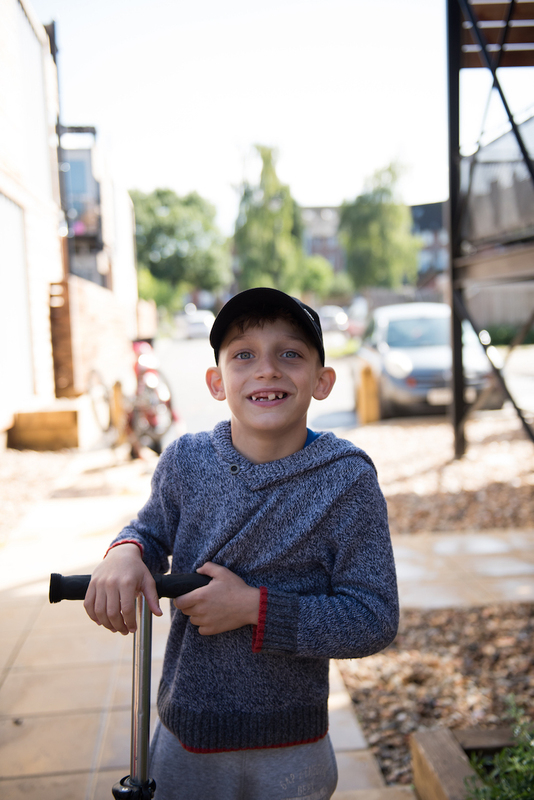 "I had a normal property in Hanger Lane, it wasn't that great when we moved in but my dad and brother did it up. When the landlord came over, she took one look around and said "ooh you've made it really nice here." Two weeks later I got my eviction letter and 10 days before Christmas I was evicted." 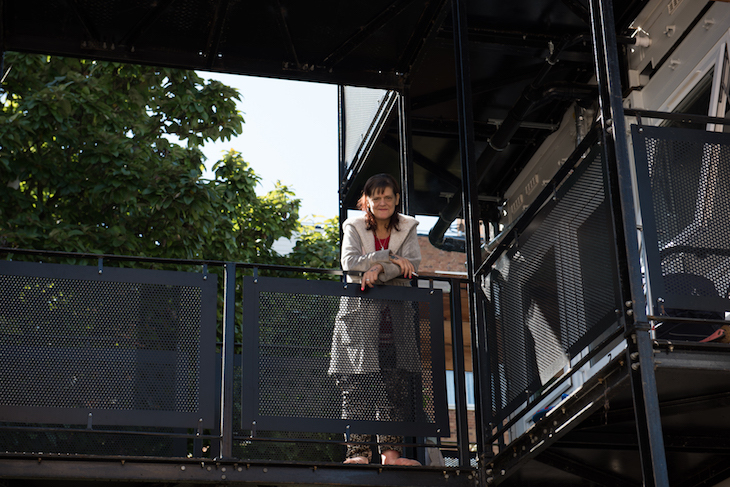 Lonia couldn't afford the newly hiked rent so the family was placed in a B&B in Southall, then a hostel in Ealing before moving here to Marston Court. "My old place was so nice, I think about it every day and feel like crying. It just felt normal you know. I'm a very house-proud person, I don't want to feel like 'what have I come back to?'" Sadly Lonia's story isn't uncommon. A government report says "end of assured shorthold tenancy with a private landlord" remains the main immediate cause of homelessness, accounting for 29% of cases from January to March of 2017. About two hours into our visit, we spot a police officer patrolling the pebbled grounds. Tucked away behind a row of shops and only accessible by two car-width alleyways, the former 1970s garage site has always attracted anti social behaviour. Unfortunately, not everyone got the memo saying the site is now home to young families. "Let's just say it can get lively down there, a bit rowdy, my mate John has had his conservatory smashed in twice, he'll tell you about it." In Hanwell Cafe, just in front of the development, we meet two locals who have only heard about the trouble surrounding the accommodation. Another man, (who, it turns out is about to be made temporarily homeless by the imminent demolition of the Green Man Lane Estate) chips in with a joke about the site's warden running off. The site was described as a "No-go zone" and an "ugly sight" in a Hanwell Friends Facebook group, and that's before we even get to the marijuana buried in the raised flower beds. Back at Sophie's, we hear how the benches have been taken away to dissuade large groups from settling here and the sea of pebbles surrounding the development have become an issue and are to be removed. Aside from the large wheelie bins, there are no on site bins so, naturally, rubbish is discarded where it falls. PC Vin tells us the whole development is under a Public Space Protection Order, giving officers the power to arrest anyone caught misbehaving more than twice. While the surrounding community seems to think the development is the cause of the anti social behaviour, the residents say people traveling to the area are to blame. PC Vin says it's a mixture. But you only need to scroll through the Cleveland & Hobbayne Twitter page to see how often the containers appear as a backdrop for patrols, drugs raids, or CPN notices (Community Protection Notice). In just two weeks, he's handed out 10 ASBOs. When we asked what Lonia and Sophie would change, their answers were unanimous: aesthetics and security. "I would make it more inviting from the outside and I would definitely put in a gate and some CCTV to make it feel safer." Says Lonia, Similarly Sophie voiced concerns about how easy it would be to break in. If it was residents only it would make it easier to keep out the trouble and that sense of ownership might encourage tenants to look after the site. While unscrupulous landlords continue to operate unchecked, renting in London will remain as precarious as Sophie's picture frames. 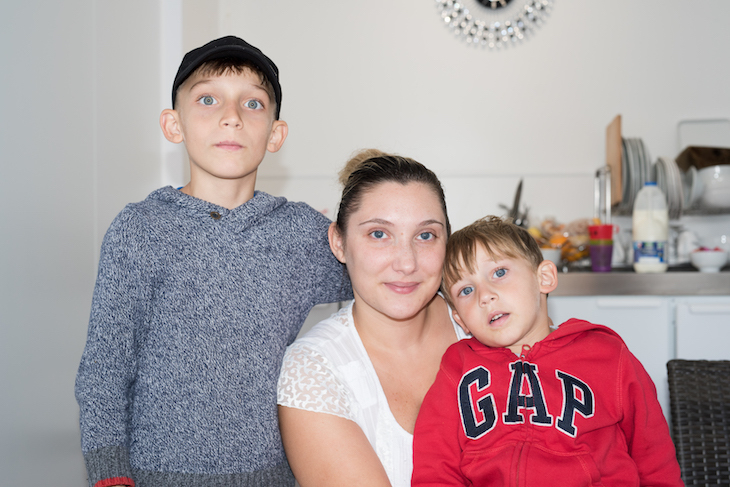 Lonia says she is reluctant to return to the private renting sector in case she is made homeless a third time. For all their faults, shipping containers remain a low-cost, rapidly deployable alternative to bricks and mortar. 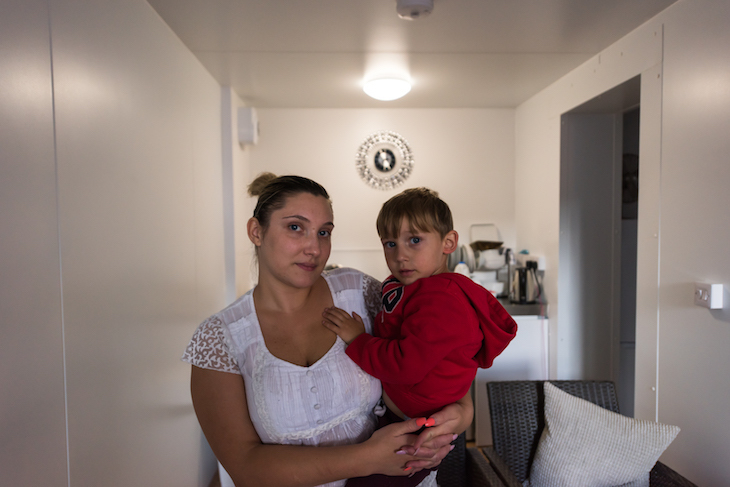 While Marston Court has a 10-year temporary planning agreement, both mums say they would be reluctant to stay here for more than a year. 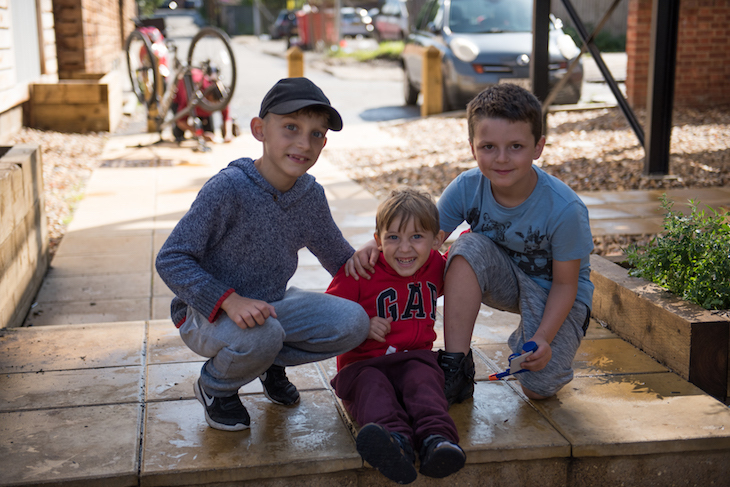 One thing we notice on both visits to Marston Court is that there are young kids actually playing together outside — a rarity on London's streets and a far cry from the hooligans we thought we might find. 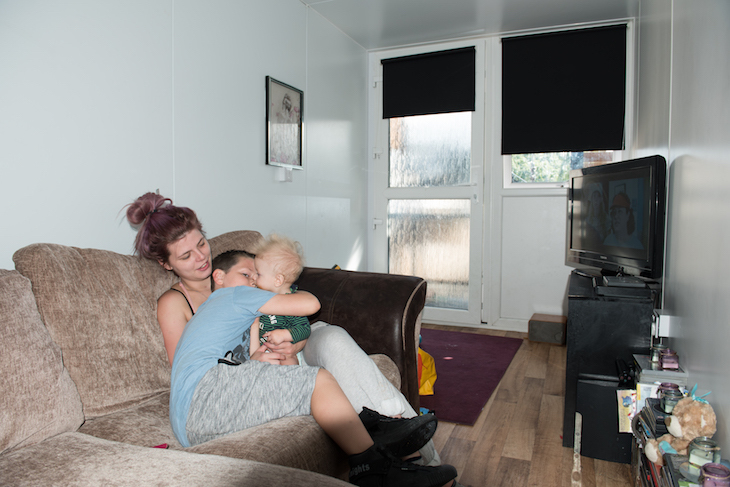 "The people that live here all look out for each other, I never expected that," Sophie says. "And it's all different cultures as well, which is nice. It reminds me of a little holiday resort with the kids running around. My kids love it. 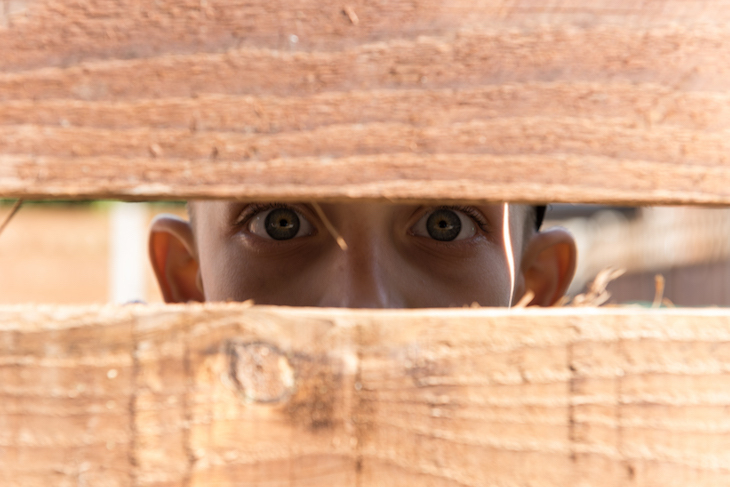 My son is always knocking on people's doors asking if they want to come out to play." "As much as I insult it, beggars can't be choosers — I think it's a good idea for homeless people because there's probably shipping containers all over the world they can turn into this." Sophie concedes. Underneath her television sit three Buddhas enacting the "see no evil, hear no evil, speak no evil" proverbial principle. "They had the monkeys but I liked the Buddhas," Sophie says. "It's positive, isn't it? 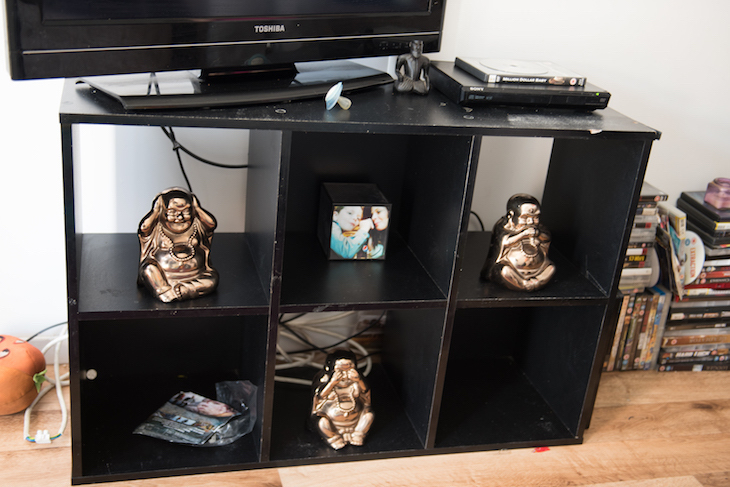 I've got Buddhas all over my bedroom. They're like hopeful ain't they?" Another, larger site is already underway at Hope Gardens in Ealing and QED Sustainable Urban Developments are in dialogue with numerous other Local Authorities in London. Let's hope they listen to the issues raised by Marston Courts tenants. 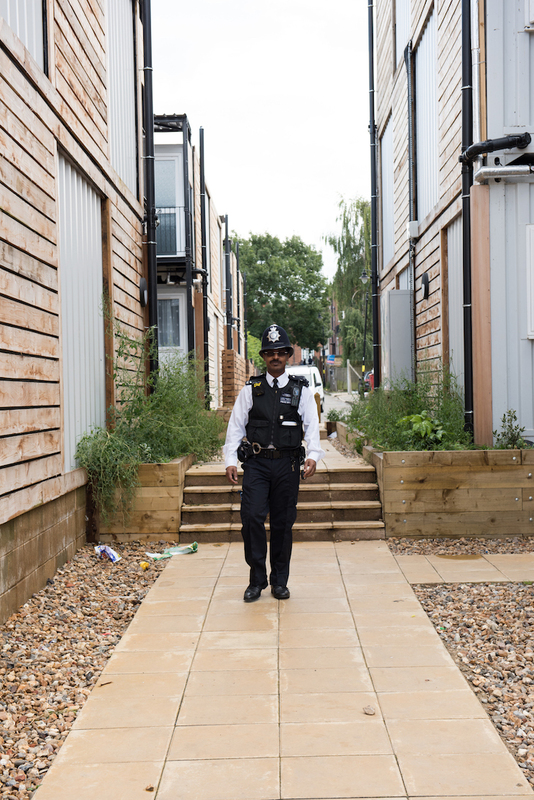 Ealing Council and QED Sustainable Urban Developments are consulting with the local police on additional measures at Marston Court to combat anti-social behaviour. The exact specification of the works is yet to be determined. Which Borough Has London's Cheapest Rent? Which Is The Best Commuter Town To Live In?